We’d love your help. Let us know what’s wrong with this preview of The Marquis by Laura Auricchio. 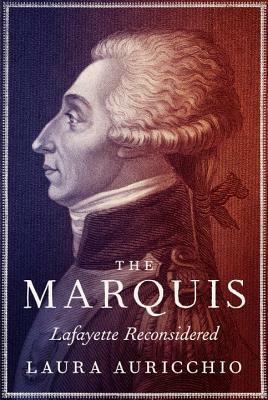 A major biography of the Marquis de Lafayette, French hero of the American Revolution, who, at age nineteen, volunteered to fight under George Washington; a biography that looks past the storybook hero and selfless champion of righteous causes who cast aside family and fortune to advance the transcendent aims of liberty and justice commemorated in America’s towns, streets, A major biography of the Marquis de Lafayette, French hero of the American Revolution, who, at age nineteen, volunteered to fight under George Washington; a biography that looks past the storybook hero and selfless champion of righteous causes who cast aside family and fortune to advance the transcendent aims of liberty and justice commemorated in America’s towns, streets, parks, and schools named after the French nobleman. Laura Auricchio gives us a rich portrait of the man, fully revealed, a man driven by dreams of glory and felled by tragic, human weaknesses. In The Marquis, we come to understand the personal struggles, social quandaries, and idealistic visions that inspired an orphaned young man to cross an ocean and fight a war that was none of his concern; we see a guileless provincial whose unexpected inheritance allowed him to marry into the highest echelons of the French aristocracy, and become a self-consciously awkward presence at the palace of Versailles. Here is the young Lafayette, removed from the French army as a result of sweeping reforms, trapped in a gilded cage until American emissaries reached Paris seeking support for their revolution. In the American cause, Lafayette, whose only vision had been of martial glory, saw a way to reach his dreams, and seized it with gusto. Americans welcomed him with open arms, and he returned their affection fully. His American éclat was so brilliant and his enthusiasm so great that he quickly became the symbol of the Franco-American alliance that ultimately defeated Great Britain. We see how Lafayette’s reputation rose to great heights during the American Revolution but collapsed during the French; that when the Bastille fell on July 14, 1789, Parisians hailed Lafayette as the French Washington and appointed him commander of their National Guard, hoping that he would be able to restore order to a city wracked by starvation and violence. As revolutionaries hurtled in radical directions and staunch monarchists dug in their heels, Lafayette lost control, remaining steadfast in his belief that the French monarchy needed to be reformed but not abolished, and doing everything in his power to prevent an American-style republic from taking root in his native land. Formerly seen as France’s heroic figure, Lafayette was now viewed as opportunistic, a dreamer, and a traitor to his nation--and today remains a murky figure in French memory. In America, Lafayette’s momentous departure from his homeland for the War of Independence has long been hailed as the start of an extraordinary career to be celebrated for generations. In France, it is often seen as just one of his many misbegotten undertakings. Yet no one has managed to offer a satisfactory answer to the crucial question of why: Why did Americans shower Lafayette with so much acclaim in his own time that he remains a hero today, being named an honorary U.S. citizen in 2002—becoming only the seventh person ever granted this distinction? And why, in contrast, does his memory continue to be denigrated in his own land? To ask other readers questions about The Marquis, please sign up. *3.5 stars, mostly because the only other book I read about Lafayette focused on his time in America, and this was mainly about his time in France after the American Revolution. I'm very conflicted about this book, because while it was interesting, I found Auricchio's writing to be a little distant. I understand that this was a strict focus on Lafayette, but I was expecting at least a little about the relationships he had throughout his life. 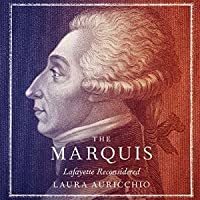 While Auricchio does touch on the relationships he for *3.5 stars, mostly because the only other book I read about Lafayette focused on his time in America, and this was mainly about his time in France after the American Revolution. I'm very conflicted about this book, because while it was interesting, I found Auricchio's writing to be a little distant. I understand that this was a strict focus on Lafayette, but I was expecting at least a little about the relationships he had throughout his life. While Auricchio does touch on the relationships he formed with his wife Adrienne, Washington, Jefferson, and people in France, it's a very brief overview. I found this a little odd, because the novel was really examining the complexities behind the hero we know as Lafayette. Surely the relationships he had added to his complexity, but Auricchio decided to instead focus solely on Lafayette. I feel as though that decision left more to be desired. For instance, his wife, Adrienne, was a remarkable woman. She took their lives into her own hands while Lafayette was imprisoned, and tried the best she could to get him freed. She even wrote to Washington to see if there was anything he could do. When nothing happened, she sent her son, Georges Washington Lafayette, to live with his namesake, and took her two daughters, Anastasie and Virginie, to the prison and they lived with Lafayette through that time. Adrienne even refused medical treatment although she was very ill, because that would have meant leaving Lafayette and she couldn't do that. After her death, Lafayette wrote in his own memoirs about how much he had loved her, even though he took her for granted, and that he was inconsolable about the loss and would never recover. None of that is in the book. At all. In fact, Adrienne's death takes up two sentences. It's, "Adrienne passed away in her bedroom. Years later Lafayette was elected to.." I was incredibly surprised that Auricchio decided against writing about a very crucial time in Lafayette's life, seeing as how the whole narrative was supposedly reexamining his character and his life events to discover the complexity that was Lafayette. In fact, there's more discussion about his relationship with Washington and Marie Antoinette than with Adrienne. However, it is clear that Auricchio has immense respect for Lafayette, as evidenced in her last chapter, Picpus (which is both sad, yet a great end to the book, I think). The ending saved the book for me, and is part of the reason I gave this 3.5 stars instead of just a three. I also have to say that the amount of history in this is astonishing. Auricchio clearly did her work (she said the book took seven years to complete and it's obvious) and used multiple sources throughout. One other tiny complaint I do have is the fact that she tended to be a little heavy handed on the details of the French Revolution and the Reign of Terror. During the Terror, Lafayette was imprisoned, and therefore, didn't really contribute anything to it. I didn't care about reading half a chapter on Robespierre, even though it was interesting, because I wanted to read about Lafayette. I have a tendency to harp on the negative things about books, but I did like this more than I have made it seem. It's incredibly interesting, and offers so many details on Lafayette, going so far as to examine the way he furnished his rooms, and what that said about his character. As I've said previously, I'm also glad this focused more on Lafayette after the American Revolution, because I had previously read Adopted Son by David A. Clary, and that focused mainly on Lafayette during his time in America. Despite his fame, Marquis de La Fayette gets barely a mention in the (few) books I read on the French Revolution. Two mentions in the same book can be contradictory. Author Laura Auricchio explains the contradiction. While book's thesis mostly concerns the interpretation of La Fayette's role in the French Revolution, the by-product is a pretty decent biography. At a young age he suddenly became one of the richest men in France but his status in the lower nobility did not match his wealth. He was Despite his fame, Marquis de La Fayette gets barely a mention in the (few) books I read on the French Revolution. Two mentions in the same book can be contradictory. Author Laura Auricchio explains the contradiction. While book's thesis mostly concerns the interpretation of La Fayette's role in the French Revolution, the by-product is a pretty decent biography. At a young age he suddenly became one of the richest men in France but his status in the lower nobility did not match his wealth. He was awkward in the opulent court of Louis XVI and Marie Antoinette. At age 19 he was ready for a military career at a time when France was at peace and the role of nobles as military leaders was being called into question. The book shows La Fayette to be an idealist with views that contradict his noble status. La Fayette fought with General Washington, provided his own funds for uniforms, provisions and munitions and was key in getting French financing and support. Once the colonies gained independence La Fayette returned to France an international celebrity. He took a leadership role in what was to become the French Revolution supporting a British style constitutional monarchy. Auricchio shows how Louis XVI's inability to grasp the situation undermined La Fayette and the monarchy itself. The royal attempt at flight is shown as a true betrayal of La Fayette; it put the radicals in control and forced La Fayette's flight from France. Besides providing an overall reconsideration of La Fayette, Auricchio provides some interesting "small" stories. One was how LaFayette arranged his mission to America: A man in his position could not just pick up and go. He needed the blessing of the king, and to have a rank befitting his position, he wanted a top position in the Continental Army. Another was the advance planning for the royal family's attempted escape. A third example is the piece on the cemetery where La Fayette is buried. "The French Revolution was a complicated time and Lafayette was a complicated man. People like simple stories; simple stories get remembered. Lafayette's story isn't simple." Americas favourite fighting frenchman wird hier sehr gut dargestellt. Es ist ein bisschen zu sehr auf nur seine Sicht bezogen, gerne hätte ich zb mehr über seiner Frau Adrienne erfahren, welche anscheinend großartig war, aber vieles was ich nicht wusste wurde hier einfach und klar dargelegt. Hoffentlich bekommt Lafayette dadur "The French Revolution was a complicated time and Lafayette was a complicated man. People like simple stories; simple stories get remembered. Lafayette's story isn't simple." Fascinating, but I'd like to know more about his wife, Adrienne, who seemed to be managing the children, the finances, the properties without help while the Marquis followed his dreams of glory around Europe and America. Halfway through “Lafayette Reconsidered,” I found myself wishing the author had selected a different title. 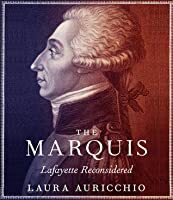 “Lafayette: A Revolutionary Man” would have been a more apt description of Auricchio’s book, as the subject split into two distinct parts: (1) Lafayette’s role in the American Revolution and (2) Lafayette’s role in the French Revolution. Auricchio handled both with aplomb and intrigue, but the publisher’s description left me with different expectations than what I actually found in the boo Halfway through “Lafayette Reconsidered,” I found myself wishing the author had selected a different title. “Lafayette: A Revolutionary Man” would have been a more apt description of Auricchio’s book, as the subject split into two distinct parts: (1) Lafayette’s role in the American Revolution and (2) Lafayette’s role in the French Revolution. Auricchio handled both with aplomb and intrigue, but the publisher’s description left me with different expectations than what I actually found in the book. Here is the tagline: “Laura Auricchio looks past the storybook hero and selfless champion of righteous causes who cast aside family and fortune to advance the transcendent aims of liberty and fully reveals a man driven by dreams of glory only to be felled by tragic, human weaknesses.” Certainly Auricchio addresses all of this and more. But an in-depth look at any great figure reveals weaknesses and flaws to counterbalance the greatness. This is no surprise, but the book really looks at the fortitude and ambition that motivated Lafayette to serve as part of two significant events and how he was in turn treated by the masses whom he served. The result is a solid and interesting book about an oft-neglected figure who is worth exploring and understanding. I wanted to read about Lafayette because I once heard him described as America’s first rockstar—a man whose fame exceeded that of nearly everyone in the early days of the United States. His limited treatment in American history books left me curious about why his reputation reached such a peak. “Lafayette Reconsidered” helped me understand the answer, and it simply took some adjustment from my early expectations on the book’s focus to what I found as I dug into the text. "However sensibly your ardor for glory may make you feel this disappointment, you may be assured your character stands as fair as it ever did." ... "When a man does all he can do though it succeeds not well, blame not him that did it." Washington was abiding by one of the 110 items listed in his own “Rules of Civility and Decent Behavior in Company and Conversation.” Given the amount of failure that Washington experienced, such wisdom must have offered comfort to Lafayette. It is also a reminder to do all we can and then rest in the knowledge that nothing more could have been done. Such a perspective is quiets the frustration of regret. • French Commander Comte de Rochambeau wrote a letter to Lafayette after he was disappointed after being rejected for the role of French commander: “There are no troops more easily beaten than when they have lost confidence in their commander, and they lose it immediately when exposed to danger through private and personal ambition.” While I cannot apply this militarily, it is wise advice for politics or even organizational success. If a leader is not focused on the group—setting aside personal ambitions—then the followers will not follow and the leader cannot lead. • In Chapter 10 – Rights of Man, Auricchio observed Montesquieu’s argument that “Liberty is not synonymous with unfettered freedom. Rather…'political liberty…is that tranquility of mind that derives from the opinion each person has of his safety.’” Auricchio further observed that peace of mind extends from separation of powers that permit to each branch of government to focus on their respective roles. The sliding scale of how people perceive liberty is important yet underexplored. It strikes me that individuals—and by extension political parties—see government as wholly useless and evil or wholly necessary and the panacea to societal ills with little middle ground. The lack of refinement and gradient in considering the role of government seems a central point in the ugly nature of our political discourse. • As loved as Lafayette was in America, he found a much harsher audience in France. The French establishment found Lafayette too radical. The revolutionists found Lafayette too conservative. Lafayette thought the colonists had the benefit from plowing new ground without Europe’s history and baggage. A new country can operate somewhat unencumbered as they designed a new structure. Given the intermingling of England and the colonies, Lafayette’s assessment may have been a bit simplistic. Yet his point is still significant. How much does our own history shape us today as an invisible yet powerful and forgotten hand? 4.0 of 5 stars – An Enlightening Chronicle of an Adopted Amercian Hero. I love history and bios, particularly those of the American revolution, but I haven’t yet read one devoted to this intriguing foreign "founding father." I’ve read a number of bios of American revolutionary figures (Washington, J.Adams (my personal fav), Jefferson, Franklin) and latter day prezes (Jackson, Lincoln, both Roosevelts, Truman), as well as 4.0 of 5 stars – An Enlightening Chronicle of an Adopted Amercian Hero. I love history and bios, particularly those of the American revolution, but I haven’t yet read one devoted to this intriguing foreign "founding father." I’ve read a number of bios of American revolutionary figures (Washington, J.Adams (my personal fav), Jefferson, Franklin) and latter day prezes (Jackson, Lincoln, both Roosevelts, Truman), as well as some revolutionary histories (my fav: Angels in the Whirlwind). This bio fits right in there – Laura Auricchio does a good job of capturing Lafayette and enlightening us on the details of his life, accomplishments and times. My natural interests drew me into the American Revolution period of the book – I got a further understanding of how this historical figure fit into the broader social, economic, and political forces, reinforcing and adding to what I already knew about the founding of our country. And it was made all the more interesting by providing Lafayette’s and French POV on events I’d read about before from an American POV. I was also equally and pleasurably drawn into the French Revolution period, this time because of my lack of familiarity with what this adopted American hero’s life had been like after he left America. Auricchio’s writing flowed nicely and logically as an approachable, understandable and entertaining history, even with some of the necessary details that comes with a biography. She did a good job of explaining Lafayette’s path and experiences in the context of the political and social forces of the time, both in America and France. For example, I liked the background info on the machinations and “Realpolitik” – revealed through the letters and memoirs of the time. And I appreciated the illustrations. The only issue was that some of the maps had small type or were blurred (this was an ARC) so that I couldn’t read them, and they weren’t explained in the text so they lost any meaning for me. I got a good feel for Lafayette’s general traits, personality and motivations, both as a young man and older. However, I found it to be a bit more descriptive than explanatory and analytical – describing mostly what happened, and some but not as much of the how and why of the man. Having a psychology background, I would have liked to have seen more about Lafayette’s psychological core and development. This is a little hard to explain, but Auricchio talked about Lafayette’s behavior and characteristics, not as much of where they came from developmentally, or the sources of what drove his motivations. For example, why was he so “eager to please,” “idealistic” and “determined”? Where did his enthusiastic and extremely optimistic nature come from? Why the “zeal” for the American cause but then later moderate stance during the French Revolution that would have provided a more indepth look to account for the extra difference that distinguished him from his other Frenchmen likewise enamored? And what about more of a feel about his interpersonal relationships beyond Washington? Granted, there was indeed a sketch of a psychological picture, just not a complete one. Admittedly, digging deep has been found to be quite the challenge for any number of revolutionary figures who appear to us today as more historical icons than human beings; and to Aurrichio’s credit, she did put flesh and blood to this legendary hero. I asked myself before picking up this biography whether I really wanted to devote a substantial amount of time to learning about a French citizen who helped George Washington during the American Revolution. The introduction by author Laura Auricchio was interesting enough that I decided to plow into it. I'm very glad I did and not because I learned startling new information regarding the American Revolution. I had known the basic outline of Lafayette's contribution to the American Revolution fro I asked myself before picking up this biography whether I really wanted to devote a substantial amount of time to learning about a French citizen who helped George Washington during the American Revolution. The introduction by author Laura Auricchio was interesting enough that I decided to plow into it. I'm very glad I did and not because I learned startling new information regarding the American Revolution. I had known the basic outline of Lafayette's contribution to the American Revolution from my American history courses. However, I had very little background about Lafayette's role in the French Revolution. Here was a man who fought valiantly to free the American colonies from the English monarchy yet found himself defending a constitutional monarchy during the French Revolution. The author paints Lafayette with many different subtle colors. In one chapter he is painted as a patriot and in another chapter an opportunist. He is an idealist to be admired in another section only to show conceit and a self-centered destructiveness elsewhere. By the time you finish this book, you may be similarly confused but thankful the author has taken the time to produce a multi-dimensional portrait of this notable man. Like other reviewers, I appreciated the closing statement by a nun tending the cemetery where Lafayette is buried: "The French Revolution was a complicated time and Lafayette was a complicated man. People like simple stories. Simple stories get remembered. Lafayette's story isn't simple." I truly loved this book. I learned and re-learned so much from it, both about its subject and about the history of the time, and in particular, the turmoil of the French Revolution. Lafayette's indomitable spirit and idealism pervaded the telling, and I marveled at his persistence and refusal to let go of his views, his hopes, and his ambitions. Far from being a perfect character (which Auricchio presented unflinchingly) he nevertheless seems to have fought for what he believed all his life. I'm I truly loved this book. I learned and re-learned so much from it, both about its subject and about the history of the time, and in particular, the turmoil of the French Revolution. Lafayette's indomitable spirit and idealism pervaded the telling, and I marveled at his persistence and refusal to let go of his views, his hopes, and his ambitions. Far from being a perfect character (which Auricchio presented unflinchingly) he nevertheless seems to have fought for what he believed all his life. I'm so glad the author wrote this biography, in so many ways an homage to the man. Earlier this week, my hairdresser asked me where I get my ideas from. I know plenty of other authors who gain inspiration by reading novels in their own genre. I get mine from the history books. Truth is, history is often more unbelievable than fiction, and in the hands of a good writer, it really comes alive. The Marquis: Lafayette Reconsidered by Laura Auricchio (@Auricchio_Laura) fits the bill. Granted, the Marquis de Lafayette’s life story needs no embellishment to be exciting, but I’ve read plenty of history books that manage to drown the drama in a sea of names, dates, and places. Ms. Auricchio tells the story of the man, starting with his upbringing, which I knew almost nothing about, all the way through to his death. I’m fascinated by the American and the French Revolutions. How could two conflicts that started with seemingly similar goals have followed such completely different paths? Following Lafayette’s career helps us see that vast difference between the goals of these revolutions in a much clearer contrast. Lafayette started out as a young man interested in glory much like other young aristocrats of the time. However, he has an idealistic spirit that rather quickly, if not immediately, wins him the admiration of George Washington – a man not easy to impress. After the Revolution ends, he goes home to France where his early role in the French Revolution earns him a reputation as “the hero of two worlds.” Unfortunately for Lafayette, it doesn’t last. Lafayette would probably be what we call a moderate today (never a popular stance when tensions are high), and his failure to emphatically join either side eventually makes him persona non grata in a time when that could be quite deadly. I’m always amazed that Lafayette didn’t lose his head (literally) in the French Revolution, but to an odd stroke of “luck” or divine intervention (you decide), he ends up sitting out some of the worst days of the reign of Terror in an Austrian jail. I’m fairly new to nonfiction and biographies, but my recently-kindled love of the American Revolution (thanks, LMM) has caused me to dive into them headfirst. I was really looking forward to this one as it was following on the tail of another Lafayette biography and I was interested in seeing how the two compared, but I was a bit disappointed. This one was pointedly drier than the one I read previously, which seems like it would be difficult to pull off, Lafayette’s life having been so interesti I’m fairly new to nonfiction and biographies, but my recently-kindled love of the American Revolution (thanks, LMM) has caused me to dive into them headfirst. I was really looking forward to this one as it was following on the tail of another Lafayette biography and I was interested in seeing how the two compared, but I was a bit disappointed. This one was pointedly drier than the one I read previously, which seems like it would be difficult to pull off, Lafayette’s life having been so interesting. While the biographies I read prior contained a good balance of personal and political information, this one I felt leaned far more heavily into the political aspects of the subject’s life, while skimming over most of the details that would have made it a good read. While the book as a whole was a bit of a slow read for my taste, there are aspects I adore. While Lafayette by Harlow Giles Unger (the first Lafayette biography I read, immediately preceding this one) felt overall more detailed and entertaining, it also felt incredibly biased and clean in comparison to this. Unger’s telling of Lafayette’s life read like a love letter to his memory - edited for content and wiped clean, the way Georges-Washington Lafayette censored his father’s diaries and letters before allowing them to be read by the public. Auricchio’s telling feels far more authentic. Less enamored and kind, dirtier, and filled with information that GWL would have gone pale over the world knowing. The writing quality is wonderful, and the book is a breeze to get through, a nice quality in academic facing biography. The Marquis has an incredible and winding life and Auricchio does a great job at giving it personal character and stakes, making for a very entertaining read. It is also, though, not an impartial take on the man or his legacy. Strictly speaking, this is not a problem (no "objective" work can ever be so, and she's fairly clear with her perspective from her title alone), but it be The writing quality is wonderful, and the book is a breeze to get through, a nice quality in academic facing biography. The Marquis has an incredible and winding life and Auricchio does a great job at giving it personal character and stakes, making for a very entertaining read. The musical Hamilton has kindled my interest in the figures of the Revolutionary War and early American republic, so I knew I had to read more about “America’s favorite founding Frenchman”. This book is an excellent resource - it covers his life in detail but not mind-numbing detail. The prose is engaging and relatively light. There is a lot more to the character of Lafayette than could be captured in a Broadway play. Although Lafayette was steadfast in his principles, he trod a complicated path through a series of perilous times. I had really had little understanding of his role in the French Revolution, where his struggles highlighted the challenge of remaining true to moderate principles in a time of extremes. I picked this book up since I wanted to see how accurate some of the songs from Hamilton are and was pleasantly surprised at how interesting the rest of the book was. Obsessed with honour and renown, Lafayette was the hero of two worlds and one of the most beloved stars of early America. He was very close to the king during the French revolution and, amazingly, left that struggle with his head in tact. Like Washington and Cincinatus before him, he retired from public life to tend his garden. Interesting look at Lafayette's legacy in both American and France. Auricchio follows his life from birth to death, with primary focus on the American Revolution and French Revolution. Lafayette seems often to waver in his feelings and struggle to fulfill his obligations and persona. Appreciated that she was able to keep the book below 500 pages, a feat of true control over subject for a historian. His early life gets almost no treatment, his role in the American Revolution some, and his time in France, though discussed, is more a lesson in the events than his life. I will keep an eye open for a more thorough biography, although I was happy to fill in many aspects of an American hero. This was a really good description of the Marquis. Very well written and primarily centered upon Lafayette's role in the French Revolution which is what I was seeking. A lot of questions remain unanswered. Great book. The author is a scholar of 18th century French history and art, and can speak to the different factions and propaganda organs that were active during the French Revolution. More than I really wanted to know about the Marquis! really for history buffs and especially Lafayette enthusiasts! Lafayette was the young French nobleman who aided America’s War of Independence and the aged hero who returned in triumph to tour the nation he helped establish, but is that the whole story? Of course it is not and “The Marquis” tells the rest of it. Author Laura Auricchio raises the question of why Lafayette is so remembered in his adopted country of America and almost forgotten in his native France. Her work helps us form our own answer. Lafayette was a young and wealthy member of the minor no Lafayette was the young French nobleman who aided America’s War of Independence and the aged hero who returned in triumph to tour the nation he helped establish, but is that the whole story? Of course it is not and “The Marquis” tells the rest of it. Author Laura Auricchio raises the question of why Lafayette is so remembered in his adopted country of America and almost forgotten in his native France. Her work helps us form our own answer. Lafayette was a young and wealthy member of the minor nobility who had married into a place at the French court when he heard of the struggle for liberty in America that provided an outlet for his energy and a chance at the glory and military rank that was so sought after by men of his age and class. That and the quest to avenge France’s losses to Britain made the American cause a compelling one. He found his opportunity in a Paris entranced by Dr. Franklin and his new nation. As a 20 year old he received his letter of introduction and headed across the Atlantic. Lafayette’s first American sojourn was a combination of glory and disappointed ambition. The relationship of the fatherless Lafayette and the childless Washington ensured him a place at the heart of the Revolution and, in time, in the heart of America. His goals to lead an invasion of Francophone Canada or to command the French Army in America were frustrated but he ended his service by trapping Cornwallis in Yorktown where Washington’s army and deGrasse’s’s fleet forced the British surrender. For many that is where Lafayette’s story ends but he was still a young man and had much to do before he would return to America. He became an ardent abolitionist and a public nobleman in France. During the French Revolution he would, at times, be the most prominent figure as he tried to guide his native land to constitutional monarchy in the mold of Britain amidst the pulls of republicans and absolute monarchists. It was he who protected Louis XVI and Marie Antoinette from the mob and lobbied with the politicians in an unsuccessful attempt to pave a smooth road to a France where liberty and stability could coexist. When the structures he built crashed he was forced into exile in Belgium. Actually he was more fortunate than many who tried their hands at nation building in those turbulent days. After things settled down he retired to his original role of country gentleman and statesman, until the invitation of President Monroe to visit the United States again opened the door to glory and recognition. By then one of the few surviving members of the Revolutionary generation, his tour was, perhaps, the greatest fete of any person in our nation’s history. It is also history of two revolutions, the one that gave birth to America and the other that upended French society and set it on another course. As readers of my reviews are aware, I have read a lot of history, but I gained insights into the American War of Independence and learned much about the French Revolution, its build up and its aftermath. I am grateful to the French nun whose convent property includes the cemetery in which Lafayette rests for telling Laura Auricchio “Write your book. And Tell Lafayette’s story.” She has done it very well. A very enjoyable read. Intriguing and good paced with lots of background information of the time period and political/social situations Lafayette found himself in. I enjoyed this book way more than I thought I would. Confession: I've never before read a full-length bio of Lafayette, so have really nothing to compare this to, but it's hard to see how I could have picked a better one to start with. Having previously met the man only in the context of his service to the fledgling U.S., it was great to see him firmly established in the European world from which he sprang, and to which his heart belonged, even when France itself failed to appreciate him. I liked many things about this book--the fact that it laid Confession: I've never before read a full-length bio of Lafayette, so have really nothing to compare this to, but it's hard to see how I could have picked a better one to start with. Having previously met the man only in the context of his service to the fledgling U.S., it was great to see him firmly established in the European world from which he sprang, and to which his heart belonged, even when France itself failed to appreciate him. In short, reading this book made me want more things written by the author, and to find out more about historical figures she may have mentioned in only a few paragraphs. I'm not really sure I can pay any writer a higher compliment, and if you're wondering why, in that case, I didn't give it five stars, I'll tell you: It's because I have to save something for those books that I read and instantly know belong on my keeper shelf and that I will be re-reading them probably more than once in the future; and the fact that this isn't in that category is due to its subject matter rather to any lack of skill in Ms. Auricchio. The Marquis de la Fayette is perhaps the most-loved Frenchman in American history. (In fact, I don't even know who his competition would be.) This book covers his entire life, focusing on his participation in the events of the French Revolution. He was incredibly young as a major general in the American Revolution--barely 20. His role in our revolution might not be as big as you think, although he was helpful in pinching Cornwallis into Yorktown in 1781. His involvement in the French Revolution w The Marquis de la Fayette is perhaps the most-loved Frenchman in American history. (In fact, I don't even know who his competition would be.) This book covers his entire life, focusing on his participation in the events of the French Revolution. He was incredibly young as a major general in the American Revolution--barely 20. His role in our revolution might not be as big as you think, although he was helpful in pinching Cornwallis into Yorktown in 1781. His involvement in the French Revolution was far more substantial. Lafayette was a moderate, as most of the first batch of revolutionaries were--they wanted to reform the monarchy, not abolish it. However, as the revolution continued, Lafayette faced the problem that most moderates do eventually--squeezed from both sides, trusted by neither. Republicans mistrusted his royalist sympathies, while monarchists weren't entirely comfortable with him either. As the Reign of Terror began, he and his family were arrested. It was only his worldwide fame that kept them alive, most likely (the Americans refused to intervene officially, although Washington--Lafyette's lifelong mentor--wrote in an unofficial capacity). During the reign of Napoleon, Lafayette agreed to stay out of the way, as Bonaparte saw him (perhaps rightly) as a rival. The marquis returned home to the farm, seeking to emulate Cincinnatus and Washington. He did eventually return to politics as a liberal (the good kind) when the monarchy was reestablished. "He never abandoned the belief that he could change the world. And he never despaired of success. of all his accomplishments, these might be the most extraordinary." I've been listening to this as an audiobook for a while. I told myself I'd listen to one CD a day before bed and I'd be finished with the book in 11 days. Unfortunately I kept falling asleep in the middle of a CD, and because it's ripped (not an actually physical CD) I'd forget where I left off. I listened to the introduction, like, 20 times. It includes a little story about the author making this perplexing discovery that people in France don't respect this historical figure as much as Americans' do. The rest of the book is basically an exploration of why that is the case. Basically, Lafayette is celebrated in the US because his side won the revolution. Lafayette isn't celebrated in France because his side lost the revolution. Adams: You wanna come over...just to visit....?? I was brought to tears by the end of this biography. It is so beautifully written and expertly told, capturing the adventure and drama of the Marquis's long and eventful life. The author shows Lafayette's transition from an awkward teenager out of place in the court of Versailles to an ambitious young soldier risking his fortune, title, and life to fight for liberty in the American Revolution, even when his strict in-laws and King of France ordered him not to. At 19, he ignored all of their comm I was brought to tears by the end of this biography. It is so beautifully written and expertly told, capturing the adventure and drama of the Marquis's long and eventful life. The author shows Lafayette's transition from an awkward teenager out of place in the court of Versailles to an ambitious young soldier risking his fortune, title, and life to fight for liberty in the American Revolution, even when his strict in-laws and King of France ordered him not to. At 19, he ignored all of their commands, bought his own ship, and sailed to the Colonies. The author brilliantly shows Lafayette's positive outlook throughout the Revolution. He would never take no for an answer and saw the best in every situation, which was undoubtedly tiring to those in his company. While I am familiar with this part of Lafayette's journey and was able to win a scholarship to college thanks to my research on the topic, I was never familiar with Lafayette's role in the French Revolution. However, this part of the biography is where Auricchio's research and writing really shine. She is able to get into Lafayette's head and present a sympathetic portrait of a man who really did believe in liberty and freedom for his home country, but was also a firm believer in noble traditions. As a result, he was regarded with skepticism by both sides of the Revolution and nearly paid for this with his life. The most heartbreaking portrayal the author depicts is a Lafayette exiled from France and ignored by America, who wished to stay neutral throughout the conflict. In the US, we have great esteem for the Marquis de Lafayette. He is our last true night. He came to fight for our ideals and our glorious cause. But in France, he is barely remembered at all. Mostly because the French Revolution got out of hand and away from what he originally wanted. Americans see him as brave and a man with enlightened ideals, but he was also quite naive which we see more with his actions (and inactions) during the French Revolution. There were many times where he let the idea In the US, we have great esteem for the Marquis de Lafayette. He is our last true night. He came to fight for our ideals and our glorious cause. But in France, he is barely remembered at all. Mostly because the French Revolution got out of hand and away from what he originally wanted. Americans see him as brave and a man with enlightened ideals, but he was also quite naive which we see more with his actions (and inactions) during the French Revolution. There were many times where he let the ideas in his mind become a bit too far-fetched for reality.